Dr. Graham Forward is a distinguished Australian orthopedic surgeon with a highly admirable track record in volunteering to offer medical services to disadvantaged communities overseas. Importantly, Dr. Forward is the founder of Australian Doctors for Africa, ADFA, co-coordinator and leader of overseas voluntary medical teams for Ethiopia, Madagascar, Hargeisa and Comoros. Born in 1952, Dr. Forward completed his medical training at the University of Western Australia in 1986. He chose to specialize in Orthopedics and for that he completed his training in the UK, USA and Switzerland. 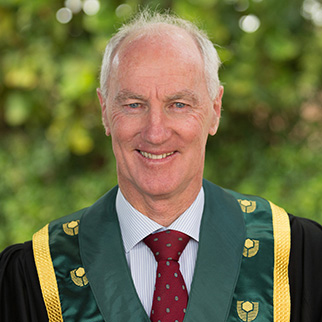 In addition to becoming a Fellow of the Royal Australian College of Surgeons (Orthopedics) in 1991, Dr. Forward is also a member of the Australian Orthopedic Association. Dr. Forward has notably participated in numerous talks both in Australia and overseas, and he is also the chairman of Murdoch Surgicentre Day Surgery Unit in Murdoch, Western Australia, besides being an adjunct senior lecturer at University of Notre Dame. At the present time, Dr. Forward is a practicing orthopedic surgeon in Western Australia in both the private and the public sectors, thus a lot of people benefit from the specialist medical care he offers including indigenous communities in Broome, Derby and Christmas Islands. Currently, he is a visiting orthopedic surgeon at St. John of God Hospital, Murdoch and Subiaco, Western Australia. And he is a visiting orthopedic surgeon at Fremantle Hospital. In 2004, in response to the emergency medical requirements resulting from the 2004 Tsunami, Dr. Graham organized a medical team to travel to Somalia, in an effort to aid swift recovery from the natural disaster. Then, he established a not-for-profit organization; Australian Doctors for Africa (ADFA) in 2005, as part of his commitment to providing volunteering medical teams where they are needed most. The cornerstone of his commitment is to provide orthopedic teams to furnish medical assistance and support to communities in Addis Ababa (Ethiopia), Tulear (Madagascar) and Hargeisa in Somaliland. Improve hospitals by providing better equipment and medical supplies. Consult and undertake surgical procedures. Disseminate best practice in health care. Up-skill local medical staff to achieve sustainability. Assess future training needs of local staff to build capacity. Maintain sustainable health care initiatives. ADFA’s strategies were instrumental in establishing a more stable future in orthopedic surgery for targeted communities, through providing those who are in need with medical equipment, supplies, medical training and by offering additional surgical operations and building projects. Assembling a medical volunteer base of 65 medical practitioners. Dispatching 22 sea containers of medical equipment and supplies. Completing 6 major medical facility building projects. Currently, completing the building of an x-ray facility in Somaliland. The building of 3 operating theatres at the Black Lion Hospital in Addis Ababa. Initial scoping for expansion of medical services to a 4th country, the Comoros Islands. Remarkably, ADFA adds more specialty services as gastroenterology, urology, pediatrics and cardiology services after 8 years of work in this field. ADFA’s great success and expanding services have much to do with Dr. Forward’s leadership, without which an organization like ADFA may not have survived the extremely challenging and volatile political contexts in which it operates. On account of the above-mentioned facts, Dr. Forward received many notable awards including the Australian Orthopaedic Association’s Humanitarian Award and the John Curtin medal. In recognition of his outstanding contributions, Dr. Graham Forward is awarded the HAMDAN AWARD FOR VOLUNTEERS IN HUMANITARIAN MEDICAL SERVICES for the Term 2015-2016.